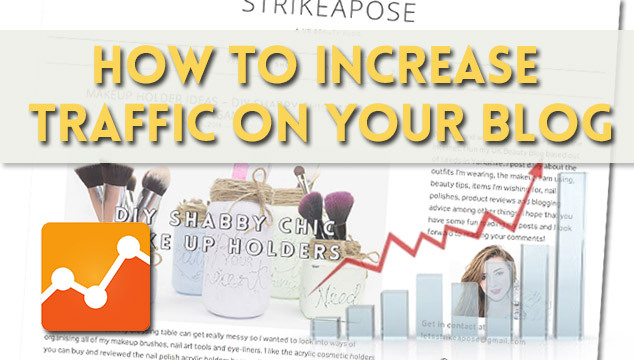 5 Tips on How to Increase Traffic on Your Blog for Anyone. This post will cover 5 tips that I recommend to help grow your blog. They are all different and look at different aspects from blogging tips to corrections to your posts. Let me know if you liked the post or have anything to add to it in the comments below. remember to check out previous weeks Tecky Tuesdays. Remember to check out lasts weeks post top web hosts once your done reading this. This is one of the biggest things that people aren’t willing to do when it comes to blogging. I have seen a lot of people start blogging and then give up within a month or two. You have to keep patient and write on a regular basis, even if the readers are not there at first. The web is a massive place, full of other blogs. If you are willing to keep posting interesting content then your readers will find you, the bonus of putting a lot of time into blogging. Over time you will see what works and what doesn’t on your blog, what to expect from your posts and how far they will travel and the type of person that will read it. 2. Make a post that people will want to share or reference. When creating a post think about if there are sections of your post that people would want to share on twitter or reference for there own post. If you could create a post that 10 people reference you will hit a much higher audience than a post that no one wants to talk about. When you finish your post think about if you would share it with your friends. If your not happy for sharing it with your friends rework it so that you are. Remember if a post gets shared a lot on twitter and Facebook it has quite a big effect on how well that post will rank on Google. The title of your post will have a massive effect on who clicks the post, as well as letting people know what is in the post. For example this post could have been called “Tips for blogging” and whilst it describes the post it doesn’t have the same effect as “5 Tips on How to Increase Traffic on Your Blog”. You should really think about every aspect of your posts and the kind of blog post titles that intrigue you and make you click. Giveaways are a great way to entice new readers to your blog. It can have the effect of bring extra traffic to your site that you would get otherwise but you can get a lot of compers. These are people that will just come to a site to enter the competition then leave. One of the major things that you have to remember is that compers can help grow your site and them posting about your giveaway does help SEO, so it’s not all bad! Giveaways are a great way to be seen by a wider audience and grow your following base as well as rewarding your readers. I have done a few over the past few months, they turned out really great for my site and a great way to support readers. Over the years I have read lots of blogs and the reason I normally stop reading one is when it doesn’t get updated very often. This doesn’t mean you have to post everyday but if I view a blog that was once updated daily and it drops to being updated once a week I tend to not bother checking their site regularly and eventually forgetting to read it all together. Blogging is a two-way thing, if you post people will come, read it and more than likely return, if you stop posting people will just stop reading when there is no new content. I would recommend that you let your audience know what you have in store for them. At the moment I’m in the process of building set posts to go up on set days, like Tecky Tuesday. I know a lot of you come just to read this post once a week; this has done wonders for growing my blog over the past few months. Let me know if you find any of these tips on how to increase traffic on your blog useful and as always remember to share it on Facebook & Twitter. Let me know what other tips you would recommend and I will feature the comment that I like the most!